This is a satellite for the Washington DC march and the opening event for Earth Week here in the Columbia Gorge. We acknowledge the vitally important roll science has played in our modern society! This is a non-partisan, family friendly event, bringing our community together to celebrate science. Help us keep the Columbia River clean by participating in a beach cleanup. By removing litter from the banks of the Columbia, you will prevent that litter from ultimately entering the Pacific Ocean. We will provide bags, gloves, and light refreshments for everyone after the event. 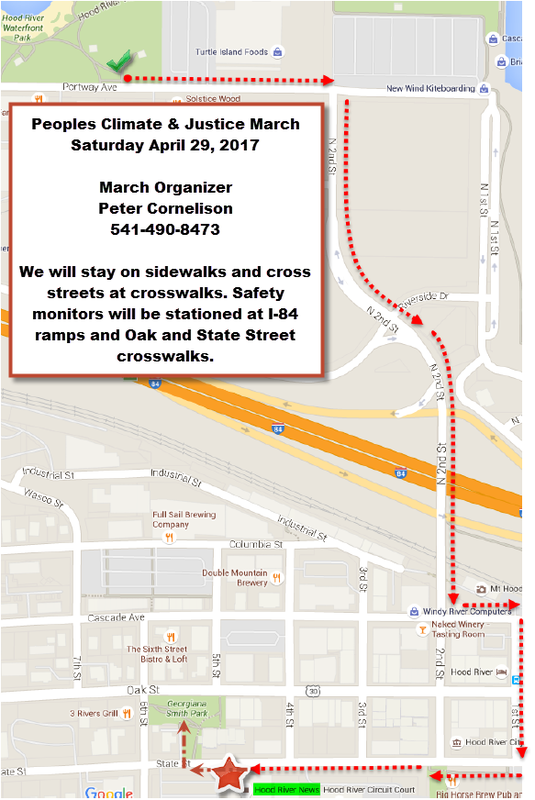 Saturday, April 22, 2017, at 10:00 am – 12:00 pm, meet at the Hood River Spit Parking Area downstream from the Hood River pedestrian bridge. Or in Vancouver: from 9:00 AM-12:00 PM, at Frenchman’s Bar Park 7495 NW Lower River Road, Vancouver, WA. Earth-centered faith offerings: Carina Miller, a member of the Tribal Council of the Confederated Tribes of the Warm Springs will speak at the Earth Day service of Riverside Community Church (UCC) at 10:30 am. Miller traveled to North Dakota last fall to protest construction of the Dakota Access Pipeline. 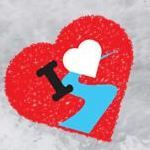 The Sunday Earth Day service at Mid-Columbia Unitarian Universalist Fellowship at 10 am will expess love for Mother Earth through poetry, readings and song. The worship service will be led by members of the “Mama Bears”, a Columbia Gorge group of Earth loving mom’s. Fossil-Free: It’s all about the money! The case for divesting from fossil fuels. Over $4.3 trillion has been divested in the global movement to curb pillars of support for the fossil fuel industry. Individuals and organizations have done so from a moral conviction that while climate change is wrong, to profit from climate change is even more reprehensible. And divesting in fossil fuels now makes good financial sense. We’ll introduce the Fossil Free movement, learn from stories of divestment campaigns, and engage with experts to help us with the “how to” questions about divesting your money from the fossil fuel business plan. How the clean energy revolution will enhance our businesses and communities: We are in the early stages of a clean-energy revolution that is driving down the costs of all forms of energy. We will soon enjoy job creation directly from clean-energy jobs and indirectly by keeping energy spending in the state. Learn how households and companies will save money and time, even as they clean up the air. Businesses will motivate employees and improve customer perceptions as they go green. Clean-energy deployment will be paced by economic factors, including technology learning rates, payback periods as influenced by project specifics and financing options, infrastructure replacement cycles, and various government policies. You will see examples and tactics for household and business savings, and options for a comprehensive energy plan for Oregon. Fossil fuel transport in the Gorge and the latest from the Climate Reality Leadership Corps with Mosier Mayor Arlene Burns. Learn about the latest developments in limiting fossil fuel transport through the Pacific Northwest and Columbia Gorge. Celebrate the incredible success we have had at keeping fossil fuel projects from locating in this region. Next, listen to Mosier Mayor Arlene Burns discuss climate change using the latest slide presentation from former Vice President and climate leader Al Gore. Arlene is an entertaining speaker and just back from a one week Climate Reality Leadership training in Denver. Description: Enjoy a glass of wine and fellowship with like minded climate and justice activists while you design and paint your favorite protest message onto a cardboard sign. All materials provided but if you have your own please bring them. 12:15 to 12:45 pm: Closing Ceremony on Hood River Library Lawn, if rainy we will relocate to the Riverside Church chapel. 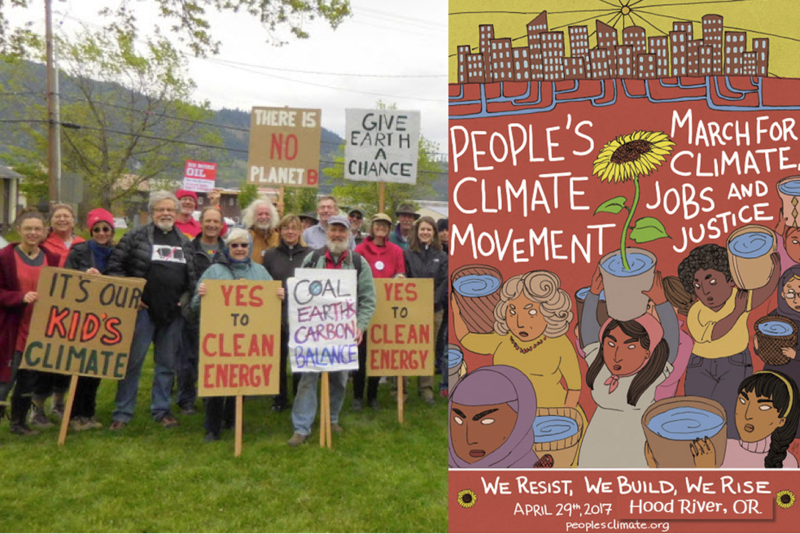 Climate groups are planning climate justice and social justice marches on April 29, 2017 in Washington, D.C. and all over the country. In Hood River we expect to take the signs we painted on Friday night, convene at Waterfront Park, hear speeches, and march up to downtown Hood River. The event is expected to be a “major march,” and a renewal of the vision set forth in the 400,000-strong People’s Climate March on September 21, 2014. “That march made a huge impact, helping drive forward the Paris Climate Agreement and push President Obama to make climate action (including rejecting the Keystone XL pipeline) a priority during his last two years in office,” Henn continued.